The windows of your home are an important part of your living space as they help provide a better source of natural lighting, improved ventilation, enhanced appearance and more. Windows that are worn, drafty, and inefficient can have a drastic impact on the overall quality of your home. To further prevent yourself from unnecessary spending, consider working together with experienced home improvement specialists to professionally replace your windows. Replacing old windows can be a breeze with professional window replacement assistance. HB Home Services is a Class-A General Contractor that specializes in providing the best home improvement services in Northern VA that are customized to your aesthetic preferences and budgeting needs. 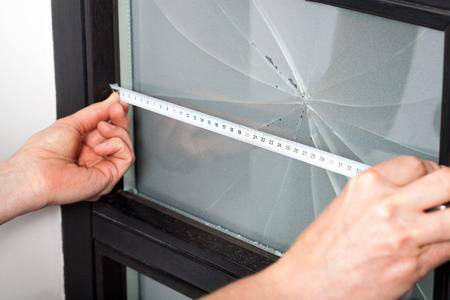 As window replacements are a very simple way to improve your home, here is what you need to know to help you determine you need replacement windows. Finding hot and cold spots in your home. There could be a chance that your windows are so worn that the sealant around them has loosened, which may result in air leaks and cause your energy bills to gradually increase. Poor lighting. Maybe your current windows are not providing the amount of daylighting you need to improve your living space. With replacement windows, you will be able to select from a variety of window shapes and sizes to obtain the aesthetic you are striving for. Broken or cracked glass and frames. These are clear indications of window damage that are major hazards, especially during inclement weather. It will also allow heating and cooling to pass through, which will force your HVAC system to work harder than it needs to. Consider scheduling a professional window replacement sooner rather than later to ensure you obtain more savings. Winter weather can be more severe than you might think as worn windows can have a negative impact on your home and comfort. Trust our experienced team at HB Home Services to take care of your home’s window replacement so you won’t have to tackle it on your own. No matter how extensive the project is, our contractors will provide the home improvement repairs and installations your home needs to withstand all inclement weather to make sure it lasts longer. Contact us at (703) 764-0498 or fill out our contact form today to speak with an HB Home Services specialist!